Late last night Earl Sweatshirt put a song on his twitter called “Elimination Chamber” which I believe is going to be on Domo Genesis’ new album “No Idols” which is being released soon but with no set date as of yet. 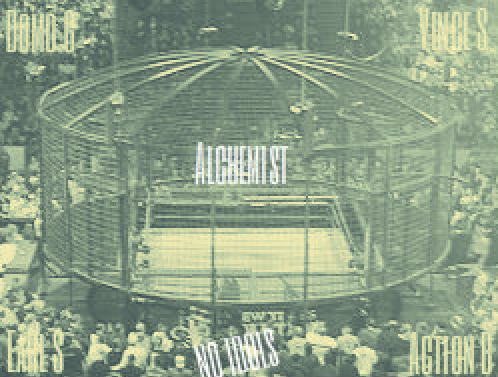 It was produced by Alchemist who produced the entire upcoming No Idols album and features Earl Sweatshirt, Vince Staples and Action Bronson. Earl and Vince spit mad verses on this song and Domo takes his rapping to another level, definitely living up to his promise that he’s gotten much better since his last mixtape “Under The Influence” saying, “I’m proud to say I’m at a better place in life, and I finally learned how to express myself in my words… its not just pot raps anymore.” Action Bronson goes hard at the end of this tight track too, honestly it’s just straight hard spitting the whole song and I can’t stress that enough. These guys make it look too easy. Needless to say everyone is excited to have more raps from Earl (he had a verse on Frank Ocean’s latest album on the song “Super Rich Kids” as well). So quick download this jam and enjoy the lyrical stylings of 4 very talented rappers. Earl Sweatshirt Premiers Song "Hive"